On behalf of the entire Shoal Creek Association Board, we express your deepest appreciation to all of our visitors, volunteers, re-enactors, sponsors, friends, vendors, and city employees that made 2018 a great success. Board members are all volunteers and the gratitude that we receive from you reminds us at every event and meeting why we love Shoal Creek and continue to offer our programs. We have already begun planning for 2018 which shall include our Kids Safe Jamboree, 1st Saturdays (May-September), Harvest Festival, Wilderness Run, and A Visit from St. Nicholas. In addition, we are planning some further events which will be featured on our website and Facebook page as details are completed . . . we hope you will visit both sites over the coming months to read about these events. 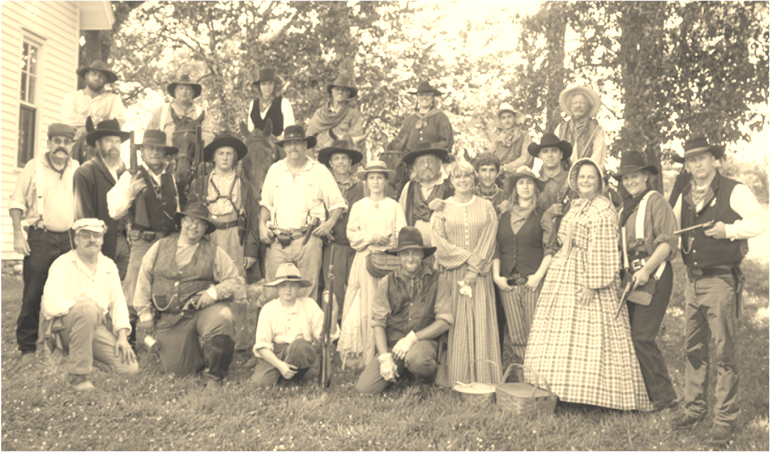 We offer all our events and programs “To Honor and Teach Missouri’s Past.” If you are interested in volunteering, reenacting, sponsoring one of our events, or adopting one of the buildings, please contact us. We wish each of you and your family a blessed and safe holiday season and happy new year.